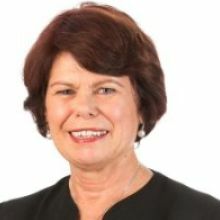 ​Dr Jill Maxwell OAM has been a General Practitioner since 1976 and is the principal and owner of Adelaide City General Practice. Dr Maxwell’s vision was to establish a practice which would welcome patients from all walks of life. She has a strong commitment to social justice as demonstrated by her work with people with disabilities, refugees and people who are homeless. Dr Maxwell is the practice’s principal supervisor of medical students and registrars and has long been involved in the teaching of medical students in Disability Medicine. From 1996 to 2010 Dr Maxwell held positions as a Board Member and then Chairperson of the Medical Insurance Group Australia and from 2011 was the Chair of medical indemnity insurance company MDA National’s Medical Liaison Council. Dr Maxwell chaired the General Practice Advisory Council of three Federal Ministers for Health. From 2010 to 2014 she was a Clinical Lead in the National E-Health Transition Authority which was instrumental in the establishment of Personally Controlled Electronic Health Records. In 2007 Dr Maxwell was awarded the Order of Australia Medal (OAM) for services to medicine, medical indemnity and to the community. 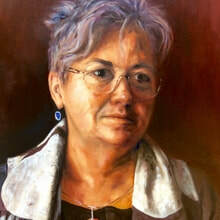 In 1995 she was awarded a fellowship of the Australian Medical Association for outstanding service to the Association. When she is not working as a GP Dr Maxwell enjoys travelling, cycling, hiking and gardening. Dr Suhasini Mohan graduated in medicine from the University of Adelaide in 2006. She went onto do her internship and junior resident rotations at the Lyell McEwin Hospital, covering a diverse range of disciplines including cardiology, intensive care, psychiatry, paediatrics and palliative care. She completed her postgraduate training in General Practice through Sturt Fleurieu, and is a Fellow of the Royal Australian College of General Practitioners. Dr Mohan believes it is important to remain a generalist in order to manage the wide range of clinical presentations in general practice. She regularly attends educational sessions to maintain her skills and is a member of the RACGP. Dr John Pitt consults at Adelaide City General Practice from Tuesday to Friday. Watch this space - a more detailed bio coming soon. Dr Cathy Sarles consults at Adelaide City General Practice on Tuesday, Wednesday and Thursday. She studied medicine at the University of Adelaide, graduating in 1985. She holds a diploma of obstetrics from the Royal Australian College of Obstetricians and Gynaecologists as well as fellowship of the Royal Australian College of General Practitioners. Dr Sarles has additional training in family planning, skin cancer medicine and surgery, and general practice office procedures. She has worked in the United Kingdom, Broken Hill and Regional South Australia. ​Dr Cathryn Mills graduated from The University of Adelaide Medical School in 2011. She then completed her internship and RMO years at the Royal Adelaide Hospital and Women's and Children's Hospital, where she obtained valuable experience in paediatrics, obstetrics and gynaecology. She completed her General Practice Fellowship through Adelaide to Outback GP Training, and is now a Fellow of the Royal Australian College of General Practitioners. Working with refugee and migrant populations, and non-English speakers. In her spare time Dr Mills enjoys hiking and dancing. She is also interested in cooking and loves to plan her next adventure. Dr Josephine Peters has recently started back with us after taking extended leave. She is consulting on Tuesday and Friday mornings. Stay tuned for a more detailed bio. Professor Bernard Pearn-Rowe is a visiting GP at Adelaide City General Practice. He was born in Sydney and qualified in London at the Middlesex Hospital Medical School, before returning to Australia in the ‘70s. He has practised as a GP in suburban Perth since then, and he has a number of special interests including the investigation and treatment of Chronic Fatigue Syndrome, and the investigation and treatment of defects in iron metabolism. Professor Pearn-Rowe regularly conducts iron infusion clinics at Adelaide City General Practice. Professor Pearn-Rowe has been Chairman of the Western Australian faculty of the Royal Australian College of General Practitioners, and President of the Western Australian AMA. 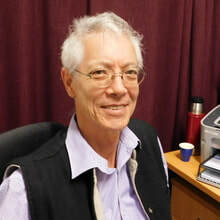 He was foundation Chair of Western Australian GP Education and Training, and is the foundation Professor of the University of Notre Dame Australia, School of Medicine in Fremantle. He is currently Convenor of the Federal AMA Council of General Practice. During his spare time Professor Pearn-Rowe enjoys music and cycling. Dr Bing Michael Oei is a GP and Sports Medicine & Musculoskeletal Physician. Musculoskeletal medicine is a discipline in medicine that deals with pain and dysfunction of the muscles, tendons, joints, ligaments, nerves and other soft tissues. Conditions treated include back and neck pain, osteoarthritis (e.g: knee, hip, ankle), tendinopathies, tennis elbow, heel pain and any golfing injuries. Dr Oei has a wealth of experience in treating and caring for patients with chronic pain, injuries or any physical dysfunction. After graduating from Adelaide University he moved to Sydney to pursue a career in Sports and Musculoskeletal medicine . Dr Oei obtained his Masters of Medicine in Physical Medicine at Sydney University in 2001. In 2003 he was awarded his Fellowship of Physical Medicine by the Australian College of Physical Medicine. He started his own General and Musculoskeletal practice in 1980. Dr Oei has had postgraduate training in the field of Musculoskeletal medicine and pain management in France, Italy, USA, Asia, NZ as well as Australia. He has been the medical Director of numerous international/ national sporting events as well as musicals in Sydney. He treats chronic pain and Musculoskeletal dysfunction using multiple modalities including manual therapy, Muscle energy stretching, Perineural injection therapy (PIT) also known as Neural Prolotherapy, Prolotherapy and PRP (platelet rich plasma). When not working, Dr Oei enjoyes golf, skiing, cycling, bridge and gym exercises as well as travelling. ​Dr Emily Kirkpatrick graduated in 2012 with a Bachelor of Medicine in NSW and is a fellow of the Royal Australian College of General Practitioners. Dr Kirkpatrick has completed a Master of Public Health and is in the final semester of a Master of Medicine (Skin Cancer) at the University of Queensland (UQ). This is in addition to certificates completed in skin cancer medicine and surgery at UQ and Bond University. In 2015 she completed a Diploma of Child Health at Sydney Children’s Hospital in Randwick, NSW, where she worked in paediatrics. She also has a Certificate of Family Planning. Dr Kirkpatrick works concurrently for the University of Adelaide in the Discipline of General Practice and as a junior medical educator at GPEx. She consults at ACGP on Monday, Tuesday, Wednesday, Thursday, Friday and as rostered on a Saturday, depending on other teaching commitments. When not working she is busy chasing after her two energetic young children and baking cupcakes! Further information available HERE. ​Dr Elaine Harrington is a general practice registrar at Adelaide City General Practice. She completed her medical training at the University of Adelaide and has completed hospital-based work at the Royal Adelaide Hospital and Lyell McEwin Hospital. Outside of medicine she enjoys playing the piano, swimming, running, baking, and walks on the beach with her wonderful and supportive husband. Dr Thu Tran is a general practice registrar and graduated from the University of Adelaide in 2012. She has since completed further training in a variety of settings and departments including at the Royal Adelaide Hospital, Flinders Medical Centre, and in Alice Springs Hospital. 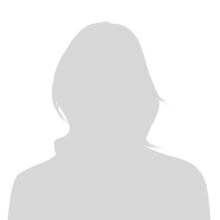 She also has an interest in teaching, and has been a tutor and lecturer of medical students at the University of Adelaide. When not working, she enjoys spending time at the beach, yoga and pilates.